A photo collage in minutes. Memories for a lifetime. 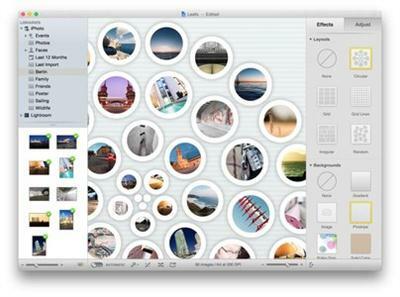 Rather than let those photos on your hard drive collect digital dust, use Posterino to create a beautiful collage. Just choose a template and add your favorite photos. Posterino will randomly shuffle your images into a poster-worthy keepsake. Changes to the layout, frames and filters are accomplished with a single click. Your memories will be ready for display in minutes, and you can let the viewing begin. You can choose from several lovely calendar templates offering both portrait and landscape views to design your own calendars featuring your favorite photos. You can also create small calendar overlays for incorporating onto regular posters. The design possibilities are numerous, making these calendars great gifts for family and friends. Tell them ?Wish you were here? with custom postcards. Share your latest adventure. Or announce your beautiful baby. Whatever your news, Posterino offers a variety of templates for creating custom e-cards and sending them off around the digital world. You can even create your very own stamp and postmark. You don?t need a postman when you have Posterino. Various ways to customize your work. Tailor each individual image using an image filter (black choose from various predefined versions. Or display metadata like name, date, comment to any image. An interface designed for easy interaction. You needn?t be a tech wiz to produce beautiful photo collages with Posterino. Our innovative interface enables a large degree of customization. Choose from a variety of templates. Decide among grid, irregular and random layouts. And adjust frames, filters and backgrounds to your liking. Plus changes are accomplished with a single click. Everything in life should be this easy.